Visit us at Hall 4 – Stall G101 ! IMTEX Forming Trade Fair is one of the most important event for the Indian metal forming industry – the hot spot for visitors out of manufacturing and ancillary industries in January 2018. The trade fair takes place on 6 days from January 25-30, 2018 in Bangalore, India. 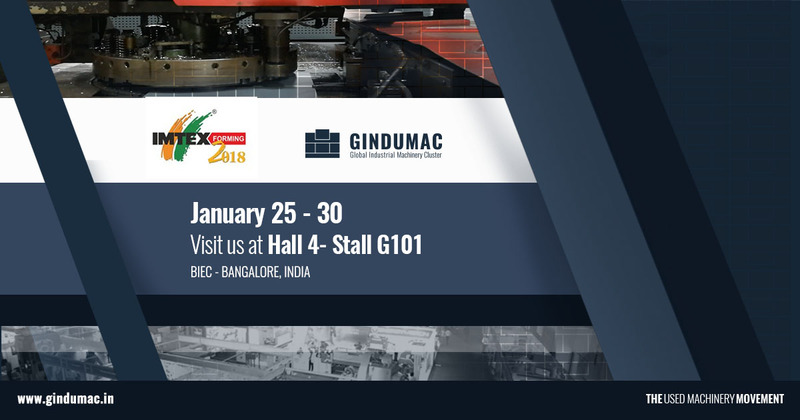 Key decison makers will visit IMTEX to get insights into latest technologies and manufacturing solutions for their production processes. The place to be for South and South East Asian professionals out of the metal forming industry.